The Grand Hyatt Denver is a classic hotel venue downtown with several ballrooms including the Pinnacle Club with panoramic mountain and city skyline views. Perched on the 38th floor, the views from the Pinnacle Club will take your breath away. However, that’s only one of several ceremony and reception spaces onsite waiting for you at Grand Hyatt Denver. You can expect excellent service that Hyatt is known for. 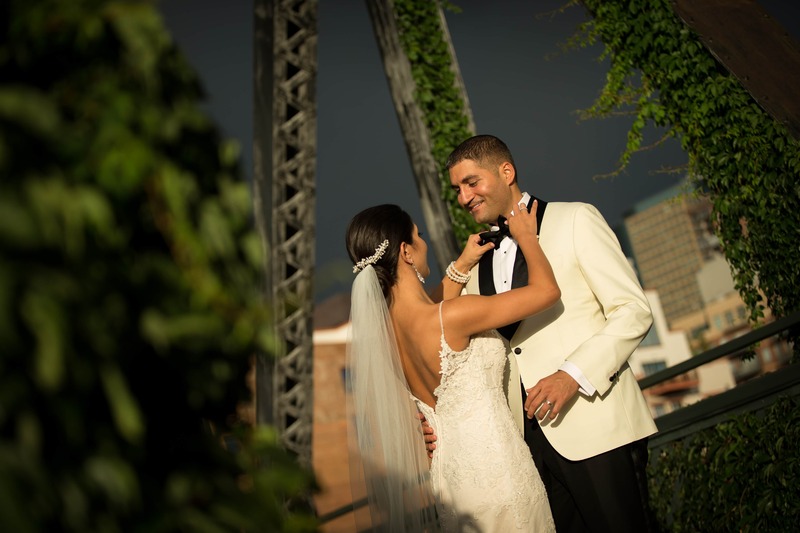 Ask for the VIP suite, it’s the perfect place to get ready and spend your wedding night. The nearby courthouse is a great location for photos because of its beauty and the covered walkway means you can still get photos if it’s raining. The hotel is right in the heart of downtown so it’s only a quick drive to several other portrait locations in the city. The view from the Pinnacle Club is the reason you have a wedding here. The proximity to everything else that downtown has to offer is a bonus. Having lived downtown for seven years, I know all of the great locations for couples and wedding party photos even if the weather doesn't cooperate.